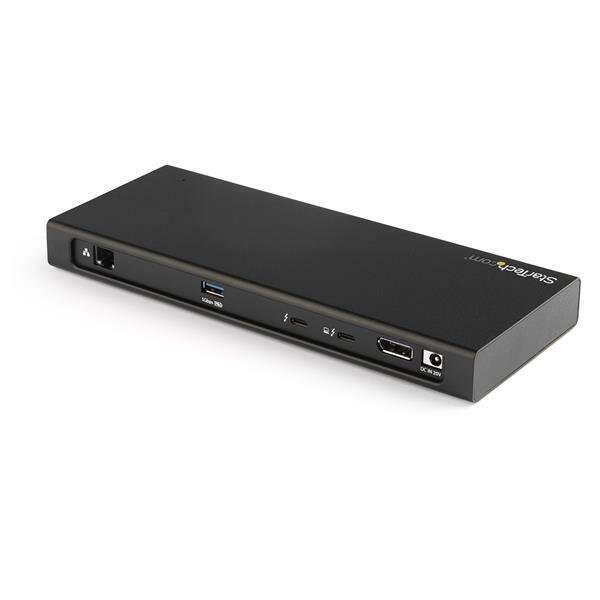 This compact Thunderbolt™ 3 dock is built for productivity, transforming your Thunderbolt 3 laptop into a dual-4K workstation with up to 40Gbps of throughput. 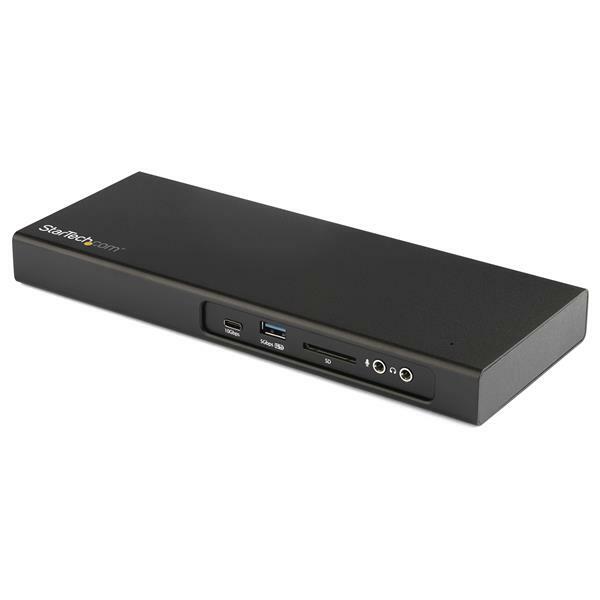 The high- performance dock features a PCIe M.2 SSD slot for enhanced data storage, three USB ports, an SD card reader, a Gigabit Ethernet port, a downstream Thunderbolt 3 port for daisy-chaining, plus 85W Power Delivery. 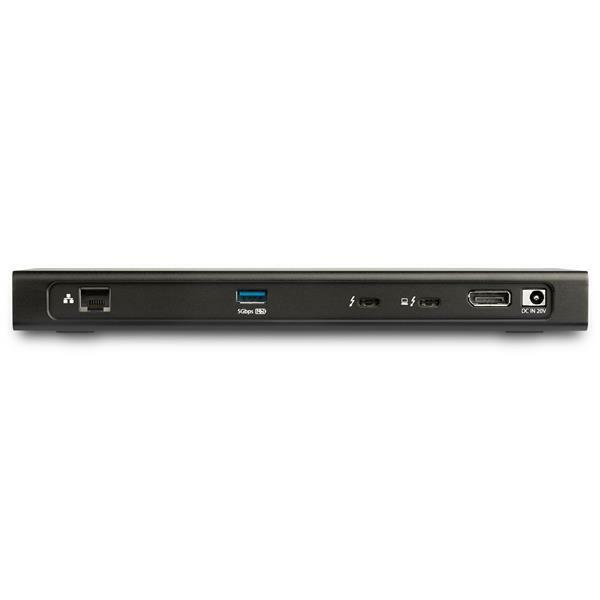 The Thunderbolt 3 dock’s built-in PCIe M.2 SSD enclosure supports transfer speeds up to 1500MB/s with the addition of a PCIe M.2 SSD for ultra-fast data access, enhanced storage, and application buffering and caching. Transfer photos or videos from your SD cards to your Thunderbolt 3 laptop. The dock’s SD slot supports SD 4.0 and UHS-II with transfer speeds up to 270MB/s. Connect peripherals with three USB ports - one USB-C port (10G) with up to 3A charging and two USB-A ports (5G) with Fast-Charge and Sync. 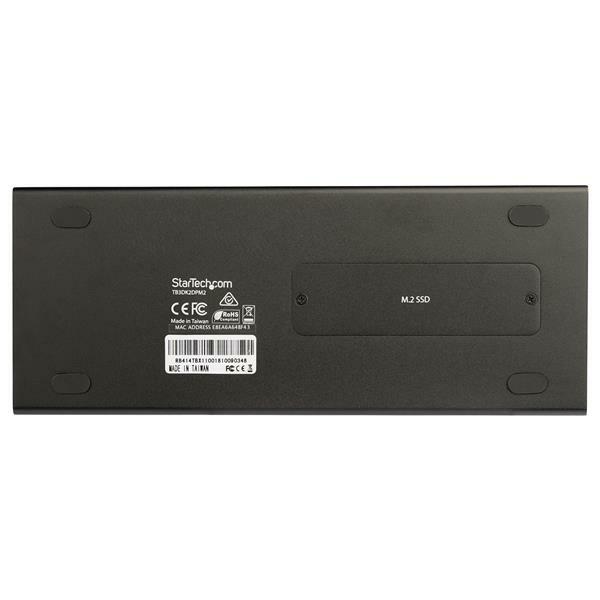 The GbE port (with PXE Boot and WoL support) provides reliable wired network access. Using a single cable, the Thunderbolt 3 dock provides up to 85W of Power Delivery charging. 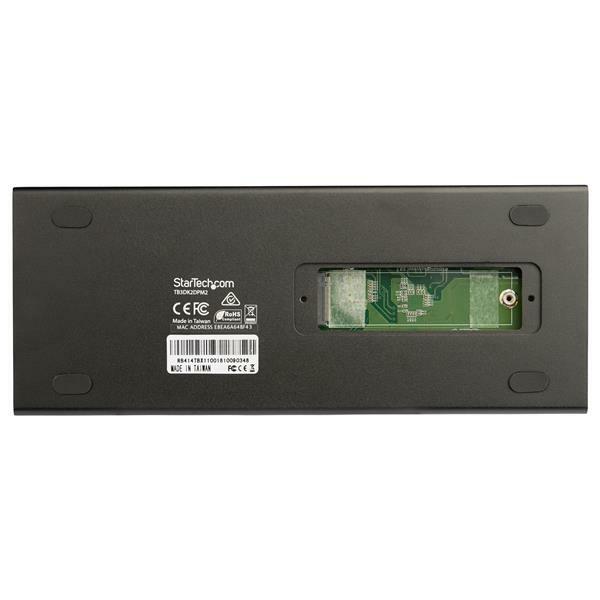 The TAA compliant TB3DK2DPM2 is backed by a StarTech.com 3-year warranty and free lifetime technical support.